As part of Poland Today’s support for the country’s startup community, here’s an overview of the issues facing Polish startups now and what to expect going forward. To the uninitiated, getting to grips with the startup community is a little like drinking from a firehose at full pressure and in Poland, it’s no exception. This difficulty is precisely what this piece is attempting to remedy, offering a comprehensive overview of Poland’s startup scene. It will address what infrastructure – especially funding – is currently available, what challenges face startups in Poland now, and what lies ahead for the community, focusing in particular on the trend of wealthy Poles investing in the market. Also, by its very nature, it will contain specific technical language – but don’t worry, there’s a handy guide for all the terminology. First, let’s set the scene with a quick summary of the community as it is today. Changes at home haven’t gone unnoticed abroad and Poland’s startup stock appears to have increased internationally. According to PwC’s Tylman, foreign companies “view us as a developing power, a community with great potential, large internal market and a good connection to both Western and Eastern Europe.” She pointed to Google’s Campus Warsaw as an example of “big, international companies treating our market as a training ground”. Improvements, however, can certainly be made. For example, 500 Startups, the globally-renowned early-stage VC fund and seed accelerator, currently has no investments in Poland. This highlights an important point. A lot of hype surrounds Poland’s startup scene and it can be difficult to see the reality. There certainly seem to be many things to feel encouraged about, but there are definitely areas that need improving for Poland’s community to fulfil the potential that it possesses. Hub Hub, HB Reavis’s co-sharing initiative, recently opened over 2000 sqm in Mokotów, Warsaw, its second in Europe after HubHub Bratislava. The company will also shortly open in Prague, Budapest and London. Accelerator: These are “fixed-term, cohort-based programmes (in that groups of startups join and are taught together, like a school year), which include mentorship and educational components and culminate in a public pitch event or demo day” according to the University of Richmond’s Susan Cohen. They can be either publicly or privately funded and focus on a wide range of industries. Beacon: Small devices that enable more accurate location within a narrow range than GPS, cell tower triangulation and Wi-Fi proximity. Beacon technology transmits small amounts of data via Bluetooth Low Energy (BLE) and, as a result, are often used for indoor location technology, although they can be used outside as well. Blockchain: A digitized, decentralized, public ledger of all cryptocurrency transactions. It constantly grows as ‘completed’ blocks – most recent transactions – are recorded and added in chronological order. It allows market participants to keep track of digital currency transactions without central recordkeeping. Bootstrapping: Entrepreneurs are said to be bootstrapping when they fund a company with capital from their personal finances or from operating revenues of the new firm. Business Angel: Affluent individuals who invest their personal capital in startups (typically early-stage) in return for an equity stake. Think ‘Dragons’ Den’. CVC: A subset of, rather than a synonym for, VC’s, CVC’s invest corporate funds directly in external startup companies. A large firm takes an equity stake in a small but innovative or specialist firm, to which it may also provide management and marketing expertise, usually in order to gain a specific competitive advantage. FinTech: Financial technology, covering technological innovation in the financial sector like cryptocurrency. Incubator: A facility established to nurture young startups during their early months or years. They usually provide space, shared offices and services, hands-on management training, marketing support, and often access to some form of financing. SaaS: Software as a service – a software licensing and delivery model where software is licensed on a subscription basis and centrally hosted. Scaleup: A company, starting with at least ten employees, that has an average annualized return of at least 20% in the past 3 years. It has already validated its product in a market and is looking to expand, often globally. Unicorn: A startup valued at more than a billion dollars. VC: Investment funds that manage the money of investors who seek private equity stakes in startup and small- to medium-sized enterprises with strong growth potential. These investments are generally characterized as high-risk/high-return opportunities. This may not be as pressing an issue as it may initially sound. According to Startup Poland’s Szopa, “there are more and more serial entrepreneurs among startup founders, as well as people with former corporate experience. The stereotype of college dorm-founded startup seems to be no longer valid: just 25% of startup founders in Poland are first-timers in their 20s or younger. The rest are pretty much seasoned entrepreneurs, aged 30 and older.” However, there does seem to be something to this. Just because more and more startup founders have previous experience, either in startups or in the corporate, does not necessarily mean they possess the skills required to make their venture successful. However, a lot of Polish startups appear to be avoiding this internal market trap and are doing business globally. Eliza Kruczkowska, Chief Innovation Officer at the Polish Development Fund (Polski Fundusz Rozwoju – PFR), said, “researching the Polish startup community has revealed the general rule that to function effectively in the digital economy, you have to act on a global scale. It’s reassuring not only to see that almost half of the surveyed Polish startups do business abroad, but above all, that a significant portion of them go after foreign customers almost from the beginning, and that those customers generate more than half of their revenue. For the most ambitious Polish startup founders, such a strategy ensures that the planned dynamic development of the company won’t hit a barrier in the future due to the limited capacity of the domestic market.” While the internal market trap does appear to pose a serious threat to the longevity and competitiveness of Poland’s startups, it is encouraging to see them going global. Looking forward: what does the future hold? 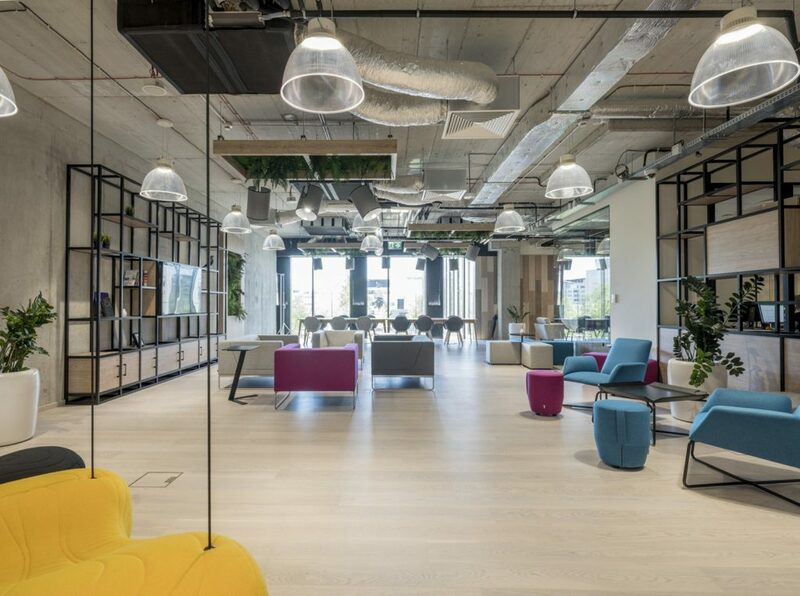 The Brain Embassy, close to the Blue City shopping centre in Warsaw, claims to be the first co-working space in Poland. Brainchild of developer Adgar Poland, they plan to open a 2nd such office in Mokotów shortly. The emphasis on the global network is important. Going global may have additional benefits. According to TEDxWarsaw’s Talmont, “I am in the ideas business, and the best ideas come from diverse teams. In terms of diversity we are far behind Berlin, Paris, Stockholm and Lisbon, not to mention London, of course. In order to thrive as a regional hub we have to be more open to people from backgrounds and cultures other than ours, and it doesn’t really matter which backgrounds or cultures, so long as they are different.” Internationalisation, while dragging Polish startups out of a regional trap, may also serve to make them more competitive globally. There definitely seems to be a lot to be excited about in Poland’s startup community. Polish employees seem well-suited to the community and, with a little help to point them in the right direction in terms of management and business experience, they could well go on to fulfil their full potential. But it is important to be wary about the hype. The very nature of the community means that lots of startups will fail. Not every company is going to be a unicorn. As MIT’s Bochniarz said, “there is a small but growing group of Polish startups with very high growth potential in several areas, such as blockchain, hardware, SaaS (software-as-a-service) and biotech. Maybe we won’t see a Polish unicorn in a year or two, but I certainly expect several Polish startups reaching $100m plus valuations.” This seems to sum up the community’s prospects well. It’s good to be excited, just don’t get carried away. There are concerns that have to be addressed – but, if they are dealt with, Poland’s community stands a good chance at flourishing. To give you a taste of some of the exciting innovations and latest developments in the community today, Monica Zielinski highlights six interesting startups from Poland. Without replacing physiotherapists, EGZOTech has developed a way to transform healthcare by using robots. Founded by biomedical and robotics engineer from the Silesian University of Technology, Michał Mikulski, the SME enterprise, backed by European Union grants, created a rehabilitation robot for orthopedic and neurological patients. With Luna EMG, patients can perform exercises, play rehabilitation video games and run diagnostic tests. The robot can also change resistance levels during training, automatically perform motion and force tests, and apply functional extensions to exercise multiple joints. Luna allows physiotherapists to quickly set a whole training programme for a patient and monitor performance from the device dashboard, and the robot’s intuitive technology can be used for therapy related to various conditions, diseases and injuries to improve abilities. While working in the business world, Dr. Bartosz Gonczarek and Piotr Śliwiński, Wrocław University of Science and Technology graduates, made funny and often absurd audio podcasts. Their hobby drove them to create their first app, PhotoPuppet, to visualize their wild ideas of space aliens, explosions and monsters destroying cities. After teaming up with New Yorker Dr. Reshan Richards, they created Explain Everything, an international business and educational tool. The subscription-based application gives users a multitude of possibilities such as drawing and annotating, and creating dynamic animations with voiceovers. 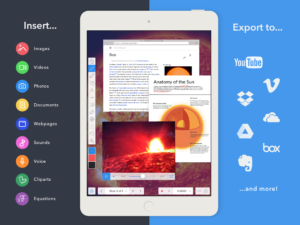 Real-time collaboration and projects are shared via links. Explain Everything started as a boot-strap operation and was profit-earning within its first six months before then receiving further funding. IC Solutions develops wireless technologies, its flagship product being the IC Pen. Researchers Rafał Witkowski and Krzysztof Krzywdziński of Adam Mickiewicz University created the accessible tool to create digital copies of documents automatically. When a user writes on paper with the Anoto Digital Pen, the built-in ARM9 processing unit analyses what is written using a CCD camera and saves it to a flash memory card. With a focus on unobtrusive Invisible Computing (IC), the startup’s mission is to develop devices that change the world of analogue to digital in a secure way. Currently, IC Solution helps the OSCE’s Office for Democratic Institutions and Human Rights oversee democratic elections in member states to ensure credibility and improve the processing of election results. 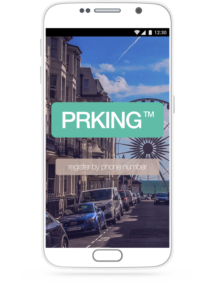 Prking™ is a smart city solution for locating and paying for parking spaces. Using radio-frequency identification (RFID), CEO Alan Pilarz created technology that improves everyday life by giving drivers access to real-time information, saving them time and money. Users simply place a Prking™ sticker on their vehicle and download the mobile application to find open spots in their area as well as the number of available spaces, prices and directions. Formed less than a year ago, the startup is currently creating a pilot implementation with real estate clients and multi-family properties. In addition to reducing traffic jams and ticket queues, the team hopes to eliminate the use of remote controls for gates by creating an automatic opening process with the Prking™ sticker. Below the surface, divers have solely relied on hand signals to communicate – until now. Scubaphone Underwater Research and Technologies has developed an underwater voice communicator for divers that allows them to speak freely and is compatible with all standard diving equipment. Łukasz Nowak spent ten years studying the sound-producing mechanisms that marine mammals, especially seals, use underwater. Based on his findings and combined with his colleague Michał Penkowski’s expertise on hydroacoustics, the two engineers and experienced scuba divers joined forces to develop the Scubaphone. 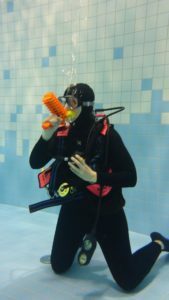 The sound produced by the speaker is transmitted directly through the water and is heard clearly by other divers. It has no depth limits, doesn’t require a power source, and at $100, it’s more affordable than electronic based devices. In an electronic device-dependent world, the race to find an outlet begins when the ‘low battery’ notification dings. SEEDiA creates solar-powered smart city benches with wifi to recharge and relax even outside. 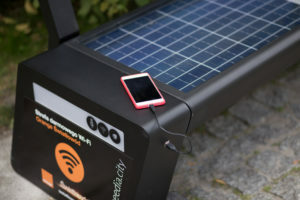 Piotr Hołubowicz joined forces with Artur Racicki, founder of Social WiFi, to design solar benches for both indoor and outdoor use as well as stands to charge mobile devices. The models are equipped with a solar panel, a USB port and a wifi module to create hotspots. SEEDiA’s benches and charging stations can be found in public spaces, shopping centers, airports and hotels. One of SEEDiA’s clients, Innogy, already purchased various models of solar benches and the startup plans to expand to foreign markets. Academics, usually Ph.D. students, start with a patent which they try to monetise, using grants to fund their business. Hustlers, trained at institutions like SGH Warsaw School of Economics, will think of an idea that they believe to be missing from the market. Then, they’ll raise capital by pitching to investors, usually VC funds. Bootstrappers, trained at colleges like Kraków’s University of Technology, develop a code which they try to market. Because they need only minimal capital, usually just a laptop, and don’t require office space – they can work in coffee shops – they pay for their business by bootstrapping. The last group are called ‘revolving doors’, which refers to when employees leave the corporate world – out of the metaphorical door – because they see a gap in the market. They already have clients to sell to – their previous employers – and return to the corporate world, back through the revolving door, when they have filled the gap. It seems that people are very excited about the startup community in Poland. Is there real substance behind this excitement? In short I would respond that it is a mixture of hype and some genuine underlying facts. What is definitely not ‘fake news’ is that the number of startups is growing. This is confirmed, and probably even underestimated, by surveys performed by Startup Poland. I would say that their ‘quality’ is rising as well, although this is a more subjective judgement derived from my interactions with startups. Their pitches are simply much more polished, the awareness of what investors are looking for is improving year on year. Also, the investment community is becoming more robust, which creates a positive impact on the whole ecosystem. I see a lot of experienced entrepreneurs and executives getting involved with startups in one way or another. Without quoting any particular names of startups, I think there is a small but growing group of Polish startups with very high growth potential and they can be found in several areas such as blockchain, hardware, SaaS and biotech. Maybe we won’t see a Polish unicorn in a year or two, but I certainly expect several Polish startups reaching and exceeding $100m valuations. The hype is also very apparent though. It can be easily spotted when in so many media publications every second startup is deemed to be the next unicorn. There is a lot of hyped up startups who have learned the basic PR tricks and know how to spin their story. When you look closer, you can see there is not much substance behind the story but, hey, who has the time to scrutinize these startups and ask the difficult questions? Why do Polish workers stay if they are so talented, but the rest of the community hasn’t caught up yet? How would you describe the startup scene in Poland at present? Startups have become extremely popular in the last four years. Not so long ago, four years back, journalists explicitly asked us not use words such as ‘startup’, ‘incubation’ or ‘acceleration’ on television, as they feared they would not be understood by the viewers. Today, I would even go so far as to say that ‘startup’ is a much overused word. Even so, social awareness of startups is still low, to such an extent that the average person is likely to confuse a startup with a mobile starter pack. Even in our sector, the word ‘startup’ is often defined as simply ‘an innovative company’ and the correct definition of Steve Blank that says, “A startup is a temporary organization designed to search for a repeatable and scalable business model.” This is rarely used. Since everyone can claim they’re developing a startup, the word is being devalued and instead the old terms are gaining ground again, ones that are made up of the components ‘the field the company specializes in’ and the word ‘technology’ – ‘a biotechnology company’ for example. Seeing as social awareness has improved in the last four years, though, I think we have a bright future ahead of us. What challenges are faced by the startup community now? There are no relationships between groups of influence in the ecosystem. Even though hundreds of community events have been held, this still doesn’t lead to many effective business relationships being forged. Just because two people know each other or did have the opportunity to meet doesn’t mean they’ll collaborate. In order for them to develop high-risk projects – innovations – they need to have a strong relationship as well as build a high level of trust. This has to be achieved in a natural way. The right approach is where it starts (Poles still bear the brunt of Communism and are not that eager to take on new responsibilities) and a large number of actual meetings and discussions is what’s needed ultimately. For this to happen, people from all walks of life – startups, government, universities, investors, mentors, service providers and large companies – need to stop hiding behind their desks, get out of their offices and seek connections. Innovations are created at the intersection of fields when someone sees something in a completely different way and knows how to use it in real world. It doesn’t happen naturally in any country, it’s a habit of sorts that needs to be developed. For the last seven years we have been developing the Venture Café Foundation, which goal is to enhance and accelerate innovation in the US. I hope it soon starts operating in Poland, too. There is a lack of global connections and a strong local ecosystem. Poland is a big enough country to develop a company based on an internal market alone and this could continue for a couple of years. It’s not nearly as big as the US, China or India, and so at certain point a question must be asked: “what now?” It’s a trap which our neighbors such as the Czech Republic or Slovakia can overcome much better, because they have to think globally due to their smaller size. When a Polish company wants to develop globally, it may turn out difficult in a country where it’s not physically operating. The fact that there is no strong and friendly ecosystem in the country may prompt some companies to build up their potential elsewhere, abroad. There are many factors at play which I hope can be improved within the next ten years and, by learning from the mistakes of others, perhaps we’ll be able to do things better. Running a business in Poland is still inexpensive, so we don’t have to fear a major outflux of innovations, but we did lose a lot of talented people because of the two World Wars as well as an adverse business ecosystem we used to have in Poland for far too long. Is there enough funding to go around? Where is it coming from, and what is the impact on the community, if any? I get the impression that funding is proportionate to the number of ideas and their quality. There are many programmes based on public finance (mainly from the EU) that aim to boost the market. In my estimation, however, the formalities and restrictions public finance entail are detrimental to businesses’ growth. I’m in favour of state-funded creation of tools (including infrastructure), but spending public money on company-funding results in the taxpayers indirectly contributing to the inception of these companies. This may potentially lead to the companies funding their competitors or entities acting against the country’s interest. This is extremely difficult to verify when grant applications are submitted. I believe it’s the state’s task to be an investor in this field. Excessive government control will only prove counterproductive. Given our starting position, however, I can see why the state encourages programmes like that. I can’t help but to ask, “what sort of habits will be developed in the ecosystem owing to this approach by the year 2020?” Let’s hope they’re only the best! Other than funding, what else is required for the community to flourish? Innovations require that they be surrounded by a friendly ecosystem, and to facilitate innovations we need effective economic connections. Is it largely due to lack of state’s support or downright obstruction on the state’s part that there aren’t many global players in Poland yet. On a different, down-to-earth note, speaking of businesses, not necessarily innovative ones, in Poland it’s fairly easy to start your own business and get it going, but not so much to develop and maintain it. Sector HUBs where companies could grow exponentially all the while having access to specialist knowledge and spaces are short in supply. Given Poland’s economy, it is not cost-effective to engage in projects like that commercially. EU-funded projects, on the other hand, did often lack in knowledge and experience, and the government didn’t see it fit to get involved, either. That’s why a company which aims to grow dynamically in the field of high technology has no resources to do so. What we also need is effective programs which could help local companies make their way to global markets. What I meant to say is that we don’t need to help companies embark on economic missions, rather what we need is a network of ‘Ambassadors of Innovation’ who would act in the companies’ and the country’s best interest alike. Another action we need to take is increase the number of foreign companies in Poland. If we don’t have a strong ecosystem and an on-site support (that is to say if we don’t look after the interests of Polish economy), everything we do might be counterproductive. Are wealthy Poles beginning to invest in Polish startups, and if so, why? I’m sure it will become more evident after 2020, by which time I hope a clear strategy of supporting startup activities by the Polish government surfaces. Given today’s approach and given that programs are being launched without so much as public consultations, it’s no wonder that some people may feel confused. Those with bright innovative ideas are bound to find investors, but the rest may not manage if the confusion continues. It can’t be stressed enough that investing does not only boil down to giving out money. Let’s take the competition between Facebook and Snapchat, which is a case in point as it goes to show that apart from the funds it is also the possibilities offered by an investor that matter. If your investor has no understanding of business, the culture of work or lacks contacts, this can be problematic in the long run. An investor who’s only interested in funding a project is not a good choice, either. I think that when it comes to the approach of investors, we’re in for a change in Poland over the next few years, or at least we should be. They need to feel the constant urge to not only improve their finances but also the possibilities they offer so that they can be a valuable asset to whoever it is they’re investing in. I think investment funds can only be effective if they are made up of talented people and are willing to take a risk, so if someone asks for a grant to start an investment fund, I don’t think they’re very likely to succeed. Polish investors often sell their companies when they haven’t even started operating globally, and then assume the role of investors. I think we’ll have a turning point in Poland the moment a couple of global investment funds arrive in our country or when a Polish entrepreneur comes up with a project as successful as that of, say, Snapchat, sells the company to a global player and only then launches an investment fund. How do foreign companies view the Polish startup community? EU-market-based activities comprise 80% of Polish export. The rest of the markets comprise only the remaining 20%. Given this data, it should come as no surprise that not many people are familiar with Polish companies, especially innovative ones. Another obstacle is that there aren’t many websites available both in Polish and English, as well as the fact that our news television channels are not covered in English. This has been changing over the last years, though. Organisations like Startup Poland, StartupHub Poland and so on have begun to surface. The government have realised the consequences of having a limited export – 80% of our country’s EU-based export involves Germany – and programmes are being launched to deal with the issue. For instance, Polish Investment and Trade Agency aims to diversify Poland’s export and operates in as many as 20 global markets. Actions like that will surely bring positive results. As a country, Poland has a lot to boast. Poles are extremely talented and have a strong desire for success. I’m sure it’s only a matter of time before the adjectives used to describe Polish workers to the effect of hard-working, ambitious, bright are also applicable to Polish startups and innovative companies. What do you predict for the communities future? – Every single year in Poland there will be increasingly more global accelerators and investors. – By 2020, Poland will be renowned for three to four specialties, they are to become known by that time. – R&D operations carried out by foreign companies in Poland will become increasingly popular. By 2025, they will constitute 5% of Poland’s GDP. 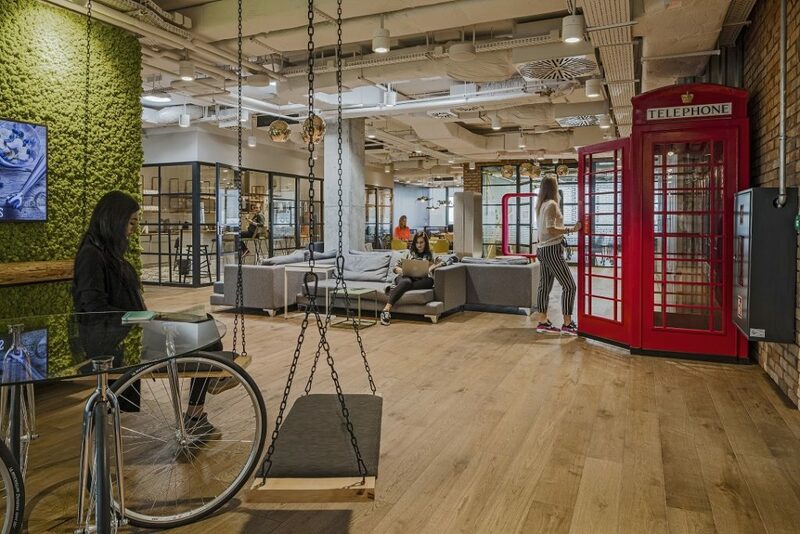 – By 2025, shared spaces will amount to 10% of office market in Poland. It is in Poland that a real estate market transformation will begin and then span Europe as a whole. – By 2025, at least one Polish startup project will become as popular in the field of startups as Robert Lewandowski is in sports – perhaps it’ll involve Robert himself! – By 2030, Warsaw will be among 20 most important cities when it comes to startups/innovations. What are Polish startups lacking, and why? Is it skills, talent, business experience, funding or something else? Most of startups in Poland produce software and supply their products and services to other companies. European research shows that Polish startups are still young – their average age is under two years. This puts us in third place in Europe with the youngest business. The real challenge facing the Polish digital economy, similarly to the rest of Europe, is the lack of qualified IT specialists. Already every fourth startup is solving this problem by employing foreigners. We need to urgently consider speeding up the immigration process for IT specialists, especially from neighbouring countries, and offering a wide range of international subcontracting services through Polish companies, both large as well as those just being formed. Researching the Polish startup community has revealed the general rule that to function effectively in the digital economy, you have to act on a global scale. In this context, it’s reassuring not only to see that almost half of the surveyed Polish startups do business abroad, but above all, that a significant portion of them go after foreign customers almost from the beginning, and that those customers generate more than half of their revenue. For the most ambitious Polish startup founders, such a strategy ensures that the planned dynamic development of the company won’t hit a barrier in the future due to the limited capacity of the domestic market. What is being done to improve Poland’s startups? Are the accelerators actually working? Intensification of system efforts targeted at the improvement of the position of the startup ecosystem is currently being observed in Poland. Therefore, the achievement of significant impact on the Polish economy is a realistic target which requires improved maturity of the ecosystem. Therefore, Poland has assign close to 3bn zł in its #StartInPoland programme, to support the development of startup firms. Successful companies will also receive aid at further stages of expansion. It is the biggest programme of its kind in CEE and is also addressed to foreign companies. The Polish Development Fund (PFR), a new vehicle whose aim is to fund Poland’s development initiatives, will play a pivotal role in the programme which may see up to 1,500 innovative companies being created in Poland over the next six years. For the ecosystem to grow, it is important to have varied and diverse sources of funding from investors, who provide knowledge and networks in addition to financing. Within the platform, PFR Ventures will be able to finance projects at various stages of development and different sizes: from about €50,000 to even €15m for a single project. Seed funds and venture capital funds may count on governmental investments with a value of approximately €5m to €200m. PFR Ventures will finance half of the value of the investment, and another 50% will come from private investors, both institutional and individual. Polish people are hard working, ingenious and famous for their tech talent, which means there’s lots of exciting new businesses springing up. The scene has developed massively since 2007 when I started my first startup, when even the word ‘startup’ sounded quite mysterious – not to mention ‘angel investors’, ‘accelerators’, ‘VCs’ or other. 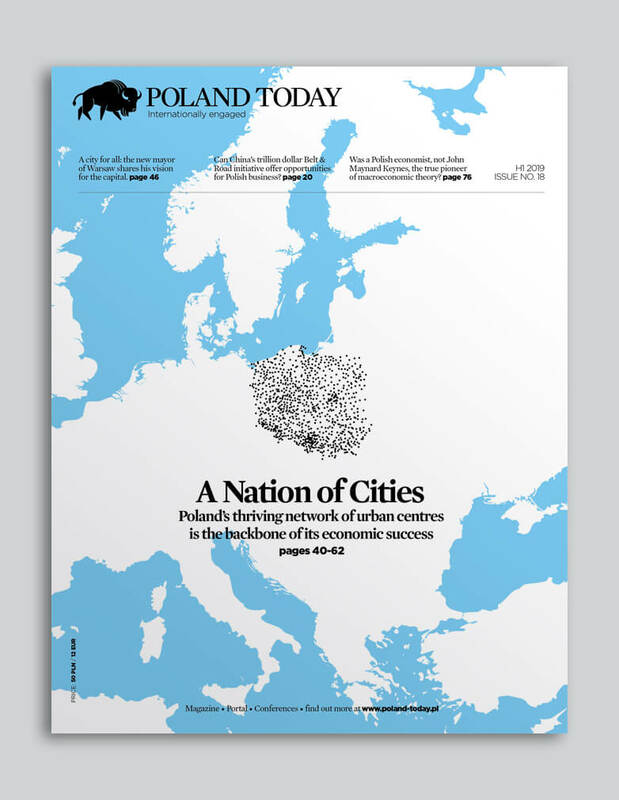 Today’s Warsaw or Kraków have become bustling hubs for startup talent. Access to funding and, the Polish mentality. Polish investors still need to learn how to increase their appetite for risk: 50% investments at seed stage will kill any promising business and won’t bring the maximum return for the investor. As far as Polish entrepreneurs go, we need to learn to trust one another. I’ve met many people with brilliant ideas that they wouldn’t share because they were worried it would be stolen. A lack of trust here is detrimental for collaboration. Ideas are maybe 10% of success and 90% execution – and no one can execute on your idea better than yourself. It’s also through collaboration and knowledge sharing that success can truly develop. On top of that, we still need to think bigger. I don’t want to hear of people trying to build ‘The best platform to do X in Poland’. Why only in Poland? Let’s think globally! Technology has no borders. There’s more and more public money available, with too little understanding though how to apply for it. Living in London, I can also see how both the angel investment scene and VCs have to up their game – and their visibility – very quickly, as many entrepreneurs seriously struggle with access to funding. It’s great to see mentorship programmes being developed, with young ambitious people having access to senior leaders who have done it before. Anecdotally, they do, including Sebastian Kulczyk himself positioning his next big thing to be investing in startups. Having said that, we truly need to educate these individuals that investing in startups means higher gains but higher risks and that asking for more than 20% of a business will limit its ability to grow in the future. Lots of interesting businesses that have a potential but must venture out of Poland to be recognised. Especially, the tech talent from Poland is famous worldwide. There’ll be lots of growth in the next ten years when public and private entities pour a lot of money into startups. With the first unicorns, the first big disappointments will also come, but all of it will allow the scene to mature. Ultimately, as the talent and the readiness to work hard is there, there’s nothing but success in sight! I’m very pleased to see more women active in startups than in the West – surprising post-communist twist! What are the challenges facing Poland’s startup community now and in the future? The biggest challenge is still the business side. It’s really hard to find talent for building sales or marketing teams or high level management. These are specialisations that are definitely in lower availability than engineers. This is simply because the demand has been moving faster than the supply. On the other hand, there is a lot of growth all around. We see this trend now where a lot of people are moving here from the west. They see a good environment to make their products. They know that engineering talent is here, money is here, and that it’s growing. What is special about Kraków’s startup community? Kraków is one of the biggest startup hubs in Poland. Unlike other cities, it already has a few well established startups, meaning there’s a ‘know-how’ in the community. Startup owners and enthusiasts support each other, are active in local meetups, and share their experiences with others. Kraków also has a different vibe and pace than other Polish cities. It’s a student city, full of young and ambitious people – many of them graduating with technical degrees and adding to the engineering talent pool. There are plenty. One, there’s too much liquidity on the VC side: over 2bn zł will be in VC hands ready to invest by the end of 2017! Two, EU funds will end abruptly in 2023 and Polish innovation economy will have to face this funding cliff. Three, it’s not good for the quality of startups to grow in the time of abundance. It’s better to grow in the times of depression and I fear that there will be too few “a-ha moments” and bankruptcy stories to forge the new generation of hard-working entrepreneurs in the flame of failure. A culture of mentorship. We need grey-hair mentors to guide the fledglings. Yes, we observe a generational change for the first time in the history of the Polish economy after the fall of communism and some of the freshly-minted leaders of family fortunes are willing to bet on new stuff – startups. They are in their early thirties, had a taste of corporate world, but have been raised by the entrepreneurs and self-made-millionaires of the post-communist era. It depends on the sector, but generally, I believe, that we are still seen as a smart nation with a disturbing past so we will accept less for more. The graduation class of 2017 might have less complexes that the external viewers might expect. You don’t have to be innovative and you don’t have to be a startuper or an entrepreneur despite what the world around says to you. The startup community seems to be one of the most popular community on the market nowadays. Since news about the next startup sold for millions of dollars appears almost every day, people believe that launching a startup is a piece of cake. However, we have to be aware of challenges the startup community is facing now. Finding sources of funding may be seen as the important challenge startups have to cope with. Startups have a lot of opportunities to fund their ideas. The most popular source of external funding for young companies is venture capital (domestic or foreign). The second place goes to the money coming from EU funds. The Polish Agency for Enterprise Development (PARP) and The National Centre for Research and Development (NCBR) can help to get it. National and international business angels, wealthy people who invest their own money, are very popular as well. Some startups benefit also from the capital raised from acceleration programmes, which are quickly growing in number in Poland. What is more, we have to remember that young entrepreneurs have knowledge but not experience. It is a challenge to deal with business issues when you do not have business experience. Our organisation believes that startups are the future of the Polish banking sector, that is why we are very active in establishing relations with Polish and foreign startup ecosystem. Thus, purchasing ZenCard, a digital company offering a loyalty programme that enables virtualisation of loyalty cards, is a result of PKO’s cooperation with the startup ecosystem. This investment proves that PKO Bank Polski is a pioneer in corporation and startup cooperation on the Polish market and that it develops digital innovations together with FinTechs. Moreover, PKO Bank Polski is a Founding Diamond Partner of the Bridge to MassChallenge Warsaw, an international startup competition that identifies and accelerates the top startups in the CEE region. On 1 September we opened the application platform for startups aspiring to go beyond national borders. The application deadline is on 6 October – we hope to gather many young entrepreneurs from our region as well as interesting FinTech solutions. Similarly, PKO Bank Polski is accelerating the startups that have come to the third edition of MIT Enterprise Forum Poland programme. Although money is very important, experience in planning or management seems to be the empty area where startups need professional help. Cooperation with corporate partners such as the biggest bank in Poland gives young entrepreneurs the possibility to define a right business model and to test it. Such cooperation is also a chance to enter the market with their product. Also, it is interesting that Polish market is not the only place where startups are looking for help. More and more young entrepreneurs are using international capital. They use business angels and venture capital as the primary source of funding. However, wealthy Poles are also beginning to understand that investing in startups may give them a very high rate of return. This is a proof that the future of the startup community is bright. New opportunities, combined with the creativity of new entrepreneurs, may change our life faster than we can even imagine. Is there a growing trend of wealthy Poles investing back into the community, or is it just hype? “It’s more than just hype. People are genuinely trying to build their own businesses, especially in FinTech. Startups in Poland are more mature and more self-reliant, even compared to a year ago. The three most popular sectors are Big Data, Analytics and the Internet of Things. Most startups are located in Warsaw, but other very vibrant hubs are in Wroclaw, Kraków and the Tricity. There is more and more serial entrepreneurs among startup founders, as well as people with former corporate experience. The stereotype of college dorm-founded startup seems to be no longer valid: just 25% of startup founders in Poland are first-timers in their 20s (or younger). The rest is pretty much seasoned entrepreneurs of 30+. An interesting trend that we are very happy with is the internationalisation of startup teams: 12% of startups in Poland have foreign founders and close to a third recruit employees internationally. First, less and less young people entering the ecosystem with fresh startup ideas, which means the ecosystem is aging. We need more young entrepreneurs to ensure sustainability of the ecosystem. Second, there is still not much capital involved in growing and nurturing the growth of startups. Only 38% startups have raised some capital and 60% of those have raised less than $250,000. 62% of startups have not received any funding. This makes one suspect that there hasn’t been enough funding. Valuations and rounds are pretty small, and only 9% of those who have raised capital, have raised more than $2.5m. However, more cash is getting raised from VC and angels investors, while EU funding plays less important role. Last year EU funds were the first choice of startup founders, this year it is third, after VC and angels. This is a very positive sign, as it proves the ecosystems is maturing. International links that allow for raising funding abroad, recruiting abroad, building born-global startups. Promotion of best practices within the community, like employee stock option plans, convertible notes investments and sensible term sheets within the community. And, bigger ambitions among the founders so that build bigger companies with bigger impact. Yes, this year we’ve seen Sebastian Kulczyk (Kulczyk Holding) and Krzysztof Domarecki (Selena) launch funds that are focused on startups. This proves that startups start being visible to High Net Worth Individuals in Poland as investment with high potential. We also see that more startups are looking at equity crowdfunding as a way to raise capital due to the fact that these platforms consequently offer bigger rounds from individual investors. Multinationals are extremely interested in working with startups in Poland and Startup Poland has been helping them build relationships with the tech entrepreneurs in Poland. I’d even risk saying that foreign corporations see more value in Polish startups that most big Polish companies do. What do you predict for the future of the community? It is definitely going to speed up in terms of growth. First time founders who started, say, five to ten years ago, are turning into investors after they exit, so they will naturally boost the growth of the ecosystem with not only cash, but also know-how and own experience. Unlike Silicon Valley, Poland hasn’t had that tradition of entrepreneurial experience being passed from generation to generation. Most startup investors have been coming from investment banking or government institutions, which isn’t necessarily the best mindset to advise in building a startup. But it is already changing, so I’m very optimistic about how the scene will evolve. What are entrepreneurs in Poland missing from their skill-set and why? The one key skill which I see lacking really badly is communication. Technical skills are never a problem – we have excellent engineers, be it hardware or software – but hardly anybody is able to describe their project in terms that are easily understood by people from the outside. I work with startups on improving their communication skills across the board, whether in pitching or writing, or any other modality, and see this as the most urgent need which needs to be met, and quickly. A couple of years ago, a couple of friends and I co-organised a series of pitch-offs with TechCrunch. In Gdynia, Warsaw and in Kraków we had local startups present their ideas to bodies of jurors – and the prize was to pitch at Disrupt in San Francisco. The quality of some of the projects was outstanding; in fact a couple of them have gone on to get funded and are hitting traction. But, all of them struggled to communicate what the essence of the project was, who it was for, and why. To the point that virtually every time the judges ended up asking “So, what is it?” That really is not the right way to pitch. I’ve worked with startup CEOs and teams to help them smooth out their internal and external communications, and the stumbling blocks have been, pretty uniformly, the same. People who are confident in discussing their projects at a meeting table find their confidence evaporating when facing a room of strangers. We have virtually zero tradition in preparing people to speak in front of a crown – even a small one. The cliche I hear all the time is “It’s easy for the Americans, they get it with their mother’s milk.” Rubbish. It is simply a question of giving people education which puts emphasis on working in teams and communicating properly – this is not something we are too good at. What are accelerators doing to change this and is it working? Having worked with a range of startups, I can only say that everyone in the community could place greater value on high-grade communication. Accelerators sometimes invest time and effort in training their startups in this vein, but it is all very local, haphazard, and generally not very effective as far as lifting the communication performance of the ecosystem as a whole. Do you think Poland is becoming the regional hub for startups in CEE? By virtue of our size we have something of a gravitational pull and we ought to be doing a whole lot more to use that. Startups, before anything else, mean people, and the best startups mean collections of diverse people. I am in the ideas business, and the best ideas come from diverse teams. This is supported by empirical evidence and scientific research, not just direct experience. In terms of diversity we are far behind Berlin, Paris, Stockholm and Lisbon, not to mention London, of course. In order to thrive as a regional hub we have to be more open to people from backgrounds and cultures other than ours, and it doesn’t really matter which backgrounds or cultures, so long as they are different. First of all, it’s still young and developing. Most of the startups are not even two years old (which gives us the third place among the youngest European enterprises nation after Romania and Italy) but we definitely catch up with the quantity – there are around 3,000 new startups in Poland right now. Most of them produces software and directs its products and services to B2B market. What is really important about Polish startups is their ethnicity – according ’Polish Startup 2016’ report by Startup Poland, around 95% of employees and founders are Polish which is a very high percentage when you compare it to EU average of around 32% startup employees being from different country than the country of incorporation. If we take a focus on funding, we will quickly realise that in Poland there is a large amount of startups financed from own funds (according to ‘Startup Poland Report 2016’ it’s exactly 50% of all startups). But, when it comes to those which use external sources of funding, the most common are grants from the European Union and funds from VCs or business angels. But other sources such as social funding are getting more and more popular, which can be proven by various Polish startups funded that way, such as Migam, InPay or Woolet. Finally, where Polish startup’s services and products are exported is quite important as well. More than half of them go to European Union (favouring UK and Germany), then to the US and the rest of the world. Yes, nowadays we can definitely see such a trend, but I must admit that it is quite new in Poland. Most of the wealthy people and celebrities are more conservative in investing than their American colleagues, that’s why the dominant asset in their investment portfolios still are in real estate and the catering industry. However, it is changing, and we can spot more and more courageous investments in innovative and less risk-free products and services. A great example is Sebastian Kulczyk, with his sister Dominika – holder of the biggest fortune in Poland – who is known for investing in startups and created a special VC fund for Polish startups called inCredibles with Startup Poland and Campus Warsaw. But Polish celebrities are also beginning to invest, with a great example in Robert Lewandowski. He is investing in lots of various startups through VC Protos Venture Capital, in which he is a partner. Examples of those investments include Wedding.pl, Allani.pl and the popular smartphone app Kekemeke. The reason behind those steps are usually quite general – with such an investment, which can be indeed risky, investors can earn a lot of money, often several hundred percent more than the value of the investment. Another crucial reason is to promote Polish inventions and to boost up Polish startup ecosystem. This is a very controversial topic. Indeed, nowadays there is a lot of external sources that startups, from any kind of environments, can use to claim funding. Just to mention a few, there are government and EU grants, venture capitals, business angels, as well as, various accelerators or even crowd funding opportunities. More than that, Poland is the biggest grants beneficiary in the whole European Union and still has over 82m zł to spend by 2023. A big part of that goes straight to innovation and startup sector and will be funded via the Intelligent Development Program, not to mention that more than €8.5bn euros will go directly to entrepreneurs of small, medium and large companies. So I would definitely say there is plenty of money to spend on startups. But the tricky question lies behind – is it actually enough and do young entrepreneurs make use of it? It is hard to answer, because most of the young enterprises still use their own money to fund business. On one hand, it’s good because there is no credit, no liabilities or investors demanding half of the venture. On the other hand, with only safety motives, our business will never develop as the proper startup should. If we look at those who actually stretch their hands after external funding sources, most of them choose EU grants as an additional funding. It’s really interesting because those grants are really difficult to access for young enterprises, the amounts are not high and the restrictions on their use are exceptionally severe. I definitely wouldn’t say that amounts of money granted from EU funding is enough to finance an ambitious startup – as an additional money source, yes, but not as an primary fund. That’s why there is a clear trend that more and more enterprises choose to have diversified funding sources, including government grants, venture capitals, accelerators and their own money. Most of the activates can be funded that way. Grants, for example, can cover most of the research and development actions, including implementation of innovations, commercialisation, internationalisation and overall advisory support covering all of these actions. No wonder why more and more entrepreneurs fancy external funding. The impact is of course clear – the more various sources of funding, the more money for startups there is on the market. This simply means that more startups can boost their development with additional funding and, thanks to this, the community as a whole is developing. Poland’s startup community must solve a few problems to claim its full potential. In my opinion, while we do not really have any problems with law and regulations, we still we are still struggling with social capital. What I mean is having a good people to work with, so those that are respecting each other’s obligations and common standards as well as those that engage in work life and care about the quality of work they are doing – simply, employees that we can trust. Without this trust, we cannot really talk about any real bond between people, which is crucial in business, especially when this business is intended to create something extraordinary. ​ The other challenge that startup community face is funding. Most of the startups are still quite afraid of external funding sources, because of all liabilities and requirements that they can face. However, in this particular case, the problem is already in process of solving and we can definitely see a great improvement of the current situation. A live example can be a significant increase in the average value of investments in both, early and late stages of the company’s development. This is always a good sign. 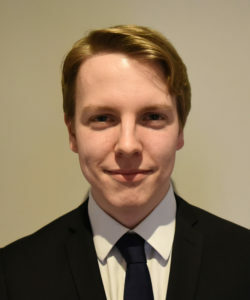 I would definitely say that they view us as a developing power, a community with a great potential, big internal market and good connections to both Western and Eastern Europe. This is particularly the case – Poland, and especially Warsaw, can be or even is already, a capital of innovations and startups in CEE. You can already see lots of movements here in Warsaw that will define the future of the CEE startups community. I would even say that big, international companies treat our market a bit like a training ground. That is simply because of the fact that it is very absorbent and more modern with every day. We can see a lot of business giants scouting, creating and investing– and what is especially crucial – deciding to base their innovation hubs and accelerators here. A great example is Google, who decided to base their CEE Google Campus innovation catalyst in Warsaw. More than that, it is easy to spot that Poland is the biggest startup market in CEE and that Warsaw is in the top 25 startup hubs in the world. The whole ecosystem is quickly developing thanks to various grants, funding opportunities and an efficient support from the government, especially from strategic entities like PFR and overall government focus on startups. But the infrastructure of a startup community is not the only factor deciding its success – startups are the key. And for those, in Poland, we really cannot complain. There is an increasing number of enterprises created every year and plenty of them become successful in internal markets, not to mention those, that are not only very successful in external markets, but are leading in whole startup market. Codewise, a Polish startup, is a great example: it is the second fastest growing company in Europe with a compound annual growth rate at 409.9%.